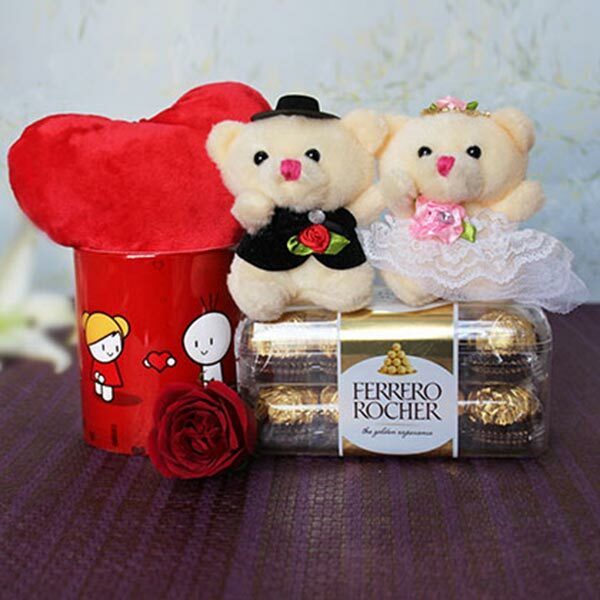 When you wish to give a special present of love on Valentine’s Day to your special one, this Valentine gifts is the one you must make choice for as it is inclusive of a cute Teddy Bear couple with yummy chocolates, cuddly heart shape cushion, a printed mug with an artificial red roses to speak heart. 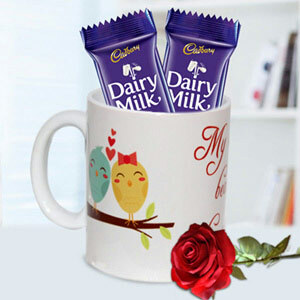 I bought this gift hamper for my best friend on her wedding anniversary. 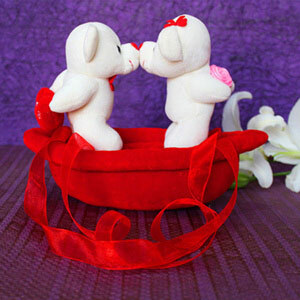 She just loved it! I got everything delivered and thank God nothing broken but a little disappointed I am with the kind of packing. 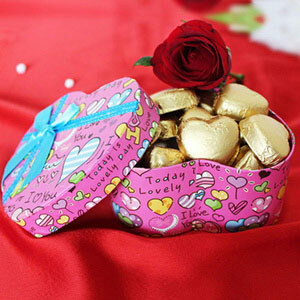 Products were safe but packing should be done in more attractive way as it was a gift to my friend.